the wall dividing the nasal cavity into halves; it is composed of a central supporting skeleton covered on each side by a mucous membrane. the partition dividing the nostrils. It is composed of bone and cartilage covered by mucous membrane. 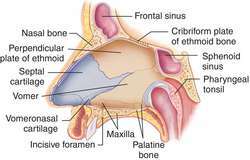 A flat, vertically oriented bony and cartilaginous partition located in the middle of the nose, which divides it into 2 lateral cavities, each ending in a nostril. The thin, central partition that divides the interior of the nose into two passages. The septum consists of a thin plate of bone, behind, and a thin plate of cartilage in front. Both are covered with MUCOUS MEMBRANE. 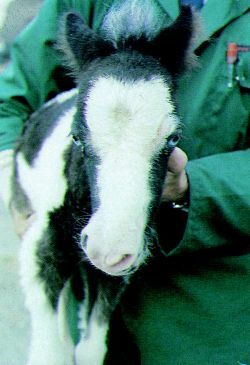 Deflection of the septum to one side (deviated septum) is common and usually harmless. The cartilage which divides the nose in half. n the partition dividing the nostrils. It is composed of bone and cartilage covered by mucous membrane.